Is the 30-gene Pan Cancer Panel test right for you? It’s because certain gene mutations can be inherited. Perhaps the most commonly talked about are the BRCA 1 and BRCA 2 genes, where mutations can indicate increased risk of developing breast, melanoma, pancreatic, prostate and ovarian cancers. The 30-gene Pan Cancer Panel test examines these and an additional 28 genes which can also indicate risk in the areas of uterine, colorectal (bowel) and stomach cancer. Your own clinician or one of our specialists can help advise you about whether this test is appropriate for you. Buy it directly from this website as part of our BRCAtest uk service which includes mandatory pre-test counselling and post-test counselling by one of network of UK Consultant Genetic Specialists (this cost may be covered by your medical insurance). Ask your clinician if you only want the test, and have other arrangements for the pre- and post-test counselling. You can only access the test this way with a clinical consultation. Test only available to those aged 18 years or above. Got a box? Enter your serial number in the box below. It is located on the reverse of the kit and consist of 14 numbers. Knowing you have a genetic mutation enables you to make sure you have regular check-ups and screenings. Many mutations are known to be hereditary: if you have a mutation, there is a 50% chance that your brothers and sisters – and your children will have it too. It’s a simple ‘spit test’ that you can do in your own home – we don’t need a blood sample, all we need is your saliva. You’ll receive a kit in the post with clear instructions on giving your sample together with all the paperwork you need to sign, which you then post back to us. Click the ‘Buy now’ tab above and follow the instructions. You’ll be shown the medical insurers who may cover the cost of this test for you. You will be contacted by one of our Genetic Specialists and given professional advice about how the test can help you. A test kit will then be sent directly to you. When you open your test kit, read the instructions carefully and use the enclosed tube to provide a saliva sample. Complete Request Form (A), Consent Form (B) and the Health and History Form (C). Your sample will be sequenced and your genes analysed. A report will be generated, usually within 3-4 weeks of receipt of your kit in the laboratory. One of our network of UK-based Consultant Genetic Specialists will contact you to discuss your results and their implications for you. We have special arrangements with many private healthcare providers to enable you to access this test. Click here for more information. A clinician will talk you through the test, explain how it can help you and the arrangements for getting your test kit. When you open your BRCAtest uk test kit, read the instructions carefully and use the enclosed tube to provide a saliva sample. Complete Request Form (A), Consent Form (B) and the Health and History Form (C). As with your pre-test counselling, a Clinician will contact you to discuss your results and their implications for you. What your results mean for you. As with your pre-test counselling, either your own clinician or one of our network of UK-based Consultant Genetic Specialists will contact you to discuss your results and their implications for you. A positive result does NOT mean you have cancer, or that you will definitely develop it. It does means that a mutation, or genetic change, has been identified in a specific gene that increases the chance of your developing certain cancers in your lifetime – and your personal results will provide more detailed information specific to you. There may also be implications for other members of your family – and this will also be discussed with you. A negative result means that no mutations or genetic changes associated with an increased risk of the most common hereditary cancers were identified in the genes that were analysed. The result does not eliminate your risk of developing cancer completely as there are other factors, such as lifestyle, or perhaps mutations not detected by current technology or mutations in other genes. Again, all this will be discussed with you. This is where a gene mutation has been found, but at present we do not know if this affects your risk of certain cancers. Our scientists use state-of-the-art techniques to classify variants according to American College of Genetics and Genomics guidelines. All clinically actionable variants (i.e. factors like pathogenic and likely pathogenic – in other words able to, or likely to cause a disease/condition) are co firmed using an alternative technology. We understand that this can sound complex, so if your results show you have an actionable variant, this will be explained to you. Angelina Jolie’s decision to have genetic testing for the BRCA1 gene and subsequently undergo risk reducing mastectomy has greatly increased awareness of the personalised health information that can now be obtained in the UK. One of three hereditary cancer tests we offer, this 30-gene Pan Cancer Panel analyses the inherited genetic mutations in genes (including BRCA 1 / 2) which are significant in breast, melanoma, pancreatic, prostate, uterine, colorectal, stomach and ovarian cancers. While mutations are not common, when present, they significantly increase your patient’s lifetime risk of developing these cancers. For example, a BRCA1 mutation can increase a woman’s chance of breast cancer up to 81% by age 80. An APC gene mutation can increase a man or woman’s chances of colorectal cancer up to 70-100% by age 80 without surgical intervention. * Please note that research and screening guidelines for genes associated with hereditary prostate cancer are still in their early stages. It is part of the Color service to keep you and your patients updated if any information related to your patients’ results changes. ** Only positions known to impact cancer risk analyzed: CDK4 : only chr12:g.58145429-58145431 (codon 24) analyzed, EPCAM : only large deletions and duplications including 3’ end of the gene analyzed, GREM1 : only duplications in the upstream regulatory region analyzed, MITF : only chr3:g.70014091 (including c.952G>A) analyzed, POLD1 : only chr19:g.50909713 (including c.1433G>A) analyzed, POLE : only chr12:g.133250250 (including c.1270C>G) analyzed. *** PMS2 : Exons 12-15 not analyzed. Early detection means that many cancers are more treatable – and thus improves survival rates. If your patient has this test, you will be able to help them plan ahead – potentially for more frequent check-ups and screenings. It may be important for them to share this information with other members of their family too as there are significant chances that they too may carry the mutation with all that that implies. The other hereditary cancer tests we offer both focus specifically on the BRCA 1 / 2 genes and the difference between them is purely about speed of results. Our regular BRCA 1 /2 test results are usually delivered in three to four weeks, while the FAST TRACK BRCA 1/ 2 results take only six to ten days. The more rapid analysis is for a patient who has already been diagnosed, as it can indicate whether their cancer is more likely to recur after treatment, or if they have a greater than average risk of developing other cancers subsequently. In the case of breast cancer, it can help guide the decision of whether to have a lump removed or whether to have a full or partial mastectomy. 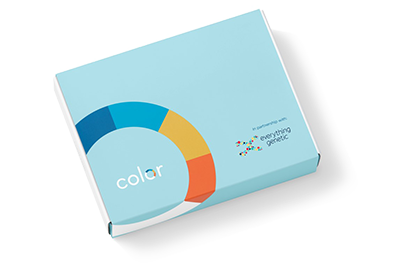 Provided by our partner Color, our 30 gene Pan Cancer Panel test has been validated according to ACMG, AMP, and regulatory agencies’ recommendations for molecular clinical tests. Their advanced, CAP-accredited and CLIA-certified laboratory uses the newest technology, including 2D barcoded tubes and advanced liquid-handling robots, to ensure the integrity of every result. The quality of every sample is checked multiple times as it moves through the sequencing and interpretation process and Color’s Ph.D. and M.D. scientists use state-of-the-art tools to classify variants according to ACMG guidelines. A certified medical professional reviews every result before it is released. Burt RW, et al. Genetic testing and phenotype in a large kindred with attenuated familial adenomatous polyposis. Gastro. 2004 Aug;127(2):444-51. Moyer VA on behalf of the U.S. Preventive Services Task Force. Risk assessment, genetic counselling, and genetic testing for BRCA-related cancer in women: U.S. Preventive Services Task Force recommendation statement. Ann Intern Med. 2014 Feb 18;160(4):271-81. No, you can buy it directly from this website – our service includes counselling to confirm if the test will be helpful to you and to help you understand the results. Usually within 3-4 weeks of receipt of your kit in the laboratory. Color’s laboratory has been accredited by the College of American Pathologists (CAP) and has Clinical Laboratory Improvement Amendments (CLIA) certification. The Color Test showed >99% accuracy in multiple validation studies.